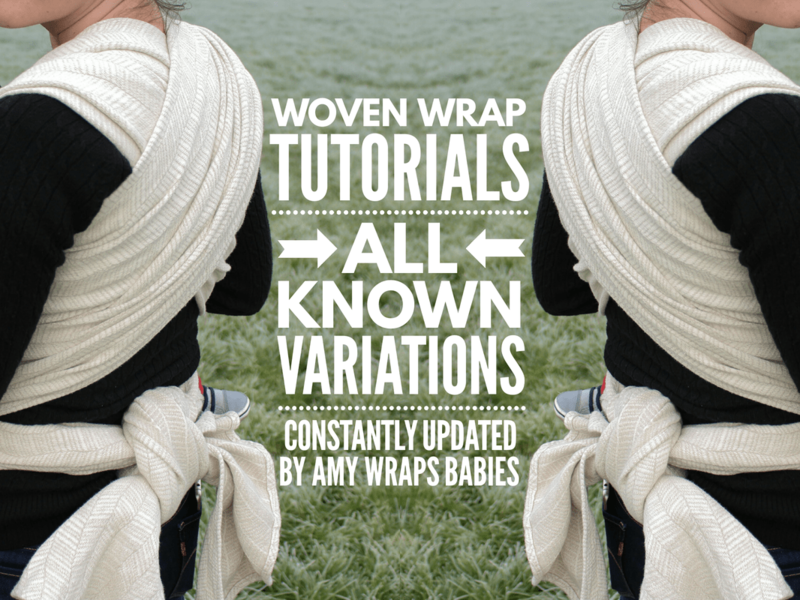 We work hard to make sure this is the most exhaustively complete list of woven wrap carries on the internet! If a carry is missing please let us know, we'd love to add it! 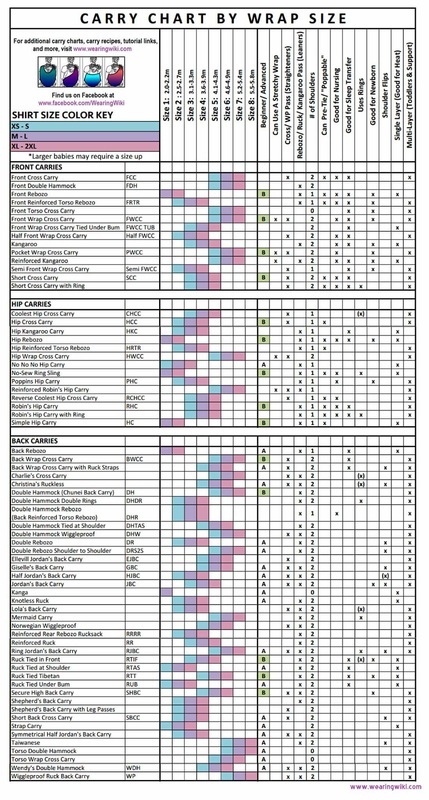 This page is designed to be a super up-to-date bullet list of all the known carries and their variations. Each carry has a summary including skill level, useful features, size, where the middle marker starts, etc, and a link to my favorite tutorial for that carry or variation. The page is organized first by position (front/back/tandem), then by size and then alphabetically. 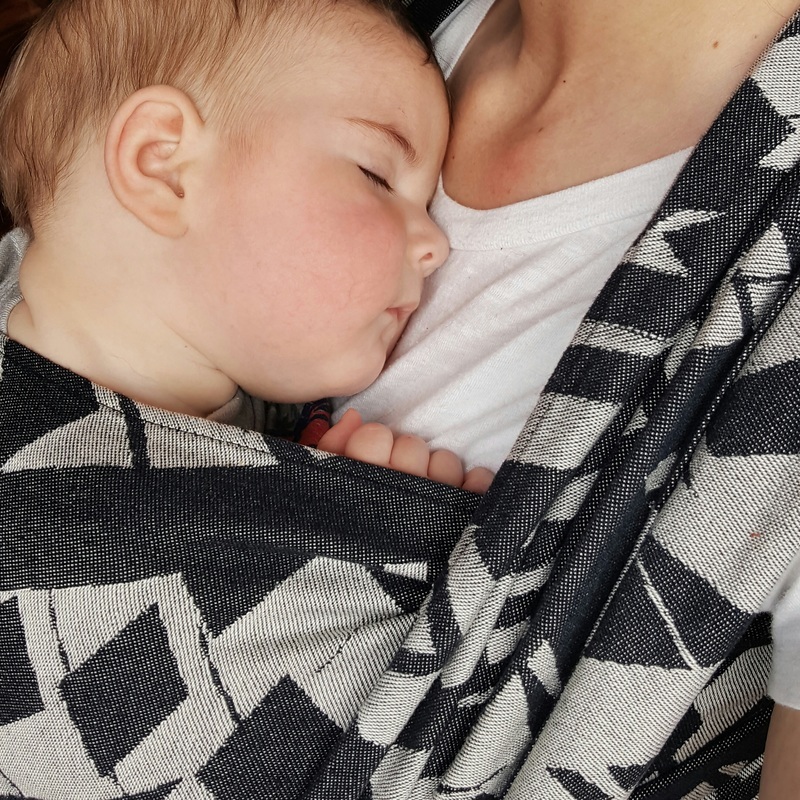 Variations are grouped together, so if you're checking for a favorite carry it may be listed with it's classic version (example: Freshwater Rapids will be under Double Hammock). I've tried to cross-reference with bookmark links on the page so you can move around this giant list a little easier. 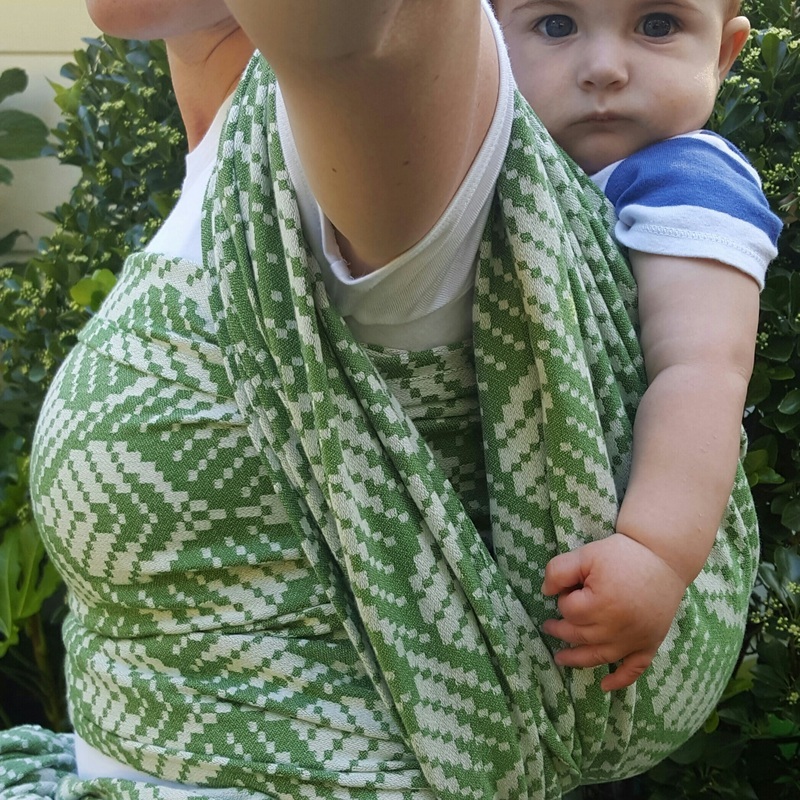 If you're a beginner, check out our posts on the first front carries for a base size wrap and first front carries for a short wrap (and learn more about base sizing here). Happy wrapping! If you need a more pocket-sized approach to a carry list, please visit Wearing Wiki who hosts a quick reference chart as well as a carry finder if you're in a hurry. They host the classic versions of most of the carriers listed here with more thorough summaries and usually list several tutorials. Their charts are still one of my quick reference tools! ​Summary: base-2, single shoulder, starts off-center, finishes with a Pond finish/Lexi twist. * "DH" and 1/2 "DH" off center: a full "DH" off is a measure of the distance from your sternum to your spine. 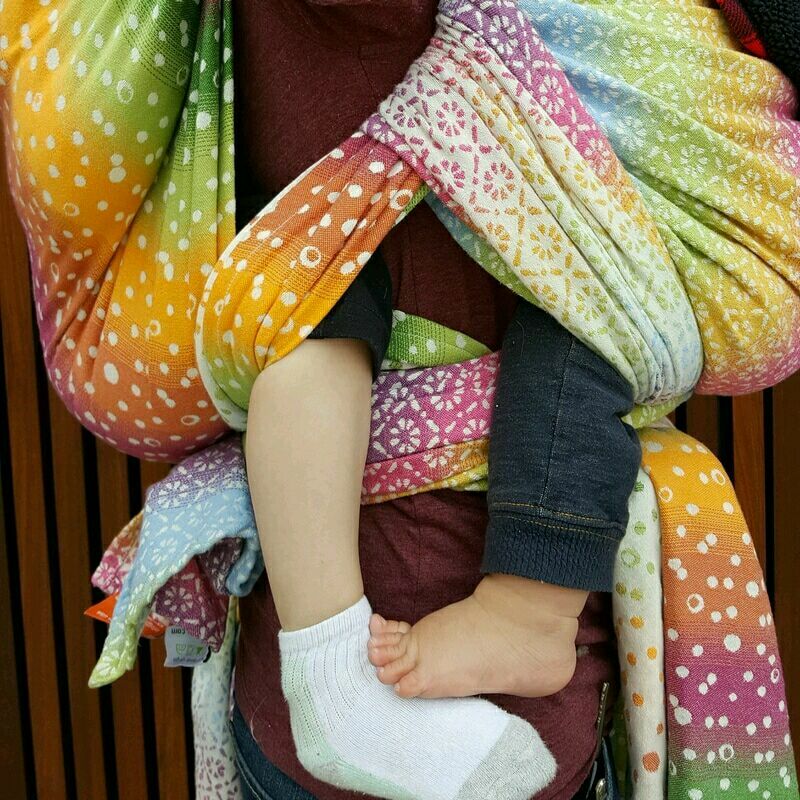 * New name for the pass and carries that previously used the term "Rebozo", as they have been voted on by the babywearing community via wearingwiki.com. More information about why the change was made can also be found on that site.